Schools are mandated by law to frequently share student information with parents for a myriad of different reasons, from permission slips to vaccination records. Regardless of the reason, schools should have a cost-efficient and reliable system in place to ensure files are delivered securely and on time. 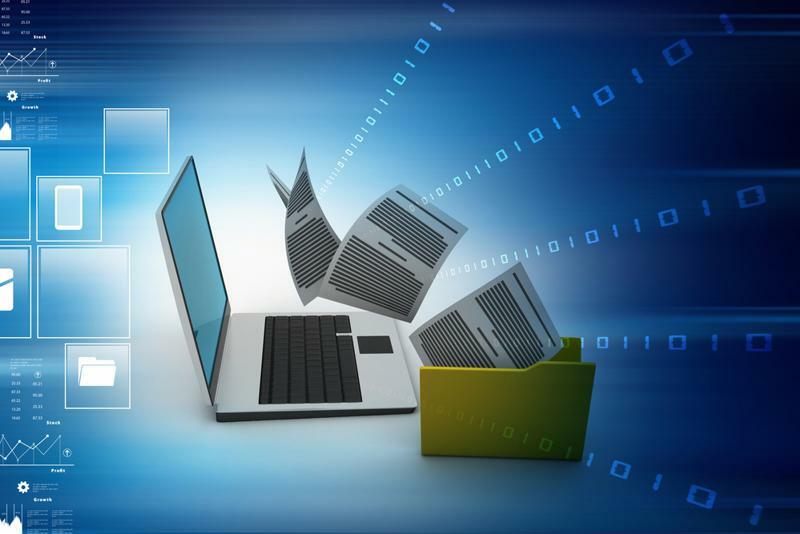 As managing paper records and using traditional mailing methods to send these important documents can be expensive and risky, districts will benefit from implementing an electronic data sharing solution. Here are four of the benefits most schools see after digitizing their data sharing strategies. Schools must adhere to the Family Educational Rights and Privacy Act, which requires that schools provide access to documents no longer than 45 days after parents or students have requested them. When administrators rely on traditional mailing and have to gather the appropriate student data from a sea of paperwork, they’re at risk of failing to deliver the files within this time frame. This is especially true if administrators haven’t been efficient with updating the student records with new data. If they aren’t able to provide the information within the set time period, they may also be at risk of losing government and state funding. Systems such as ParentShare Gateway and Central Records Gateway are able to automate access and/or electronically deliver student reports and documents. Schools don’t have to worry about forms taking too long in the mail. It’s also easy to add new information and reports to existing records. After all, timely delivery is only half the battle when it comes to adhering to FERPA, as student data must be entirely accurate. Online student solutions ensure this is possible before and after the requested information is shared with parents. Sharing digital files eliminates many of the risks associated with mailing paper documents to parents. According to research conducted by the Community Preventive Services Task Force, when parents are involved in their children’s academic performance, students do better in school and are even healthier overall. However, mailing key information, such as progress reports, puts this data at risk of being lost or not being shared with parents. When these files are delivered electronically to parents’ email addresses, these risks are eliminated. This ultimately enhances communication between parents, their children and the school. Research has shown that parent engagement doesn’t only benefit students. It’s also found that teachers and principals are more likely to have higher morale and an increase in job satisfaction, according to 2010 research article “Home-School Relations: Working Successfully with Parents and Families” by Dr. Glen Olsen and Dr. Mary Lou Fuller. The research also pointed to the fact that schools that strive for good parent-teacher relationships also establish better reputations among the community and have higher-quality school programs compared to schools without engaged parents. There are a number of ways in which schools save when they implement an automated student data sharing system. Santa Rose City Schools in California, for example, recently reported that it costs them about $2,500 to mail one round of report cards to parents, according to The Press Democrat. Printing and mailing can end up costing your schools thousands of dollars that could be spent on student programs and other important investments. Online data sharing solutions also free up staff members who would be organizing and mailing paperwork, allowing them to take on other tasks. Electronic file sharing also mitigates the risk of losing funding as a result of failure to comply with FERPA. When sensitive student data is sent through the mail, it’s always at risk of getting lost or winding up in the wrong hands. ParentShare Gateway features password protection so only authorized school personnel, students and parents can gain access. This is essential as schools work to comply to privacy regulations like FERPA and the Health Insurance Portability and Accountability Act. Central Records Gateway expands on the secure collection of student documents by making all information pertaining to each child individually and constantly accessible to their guardian through an online password-protected portal. SRC Solutions is excited to announce the launch of Central Records Gateway and the Central Records Solutions Program (CRSP). Central Records Gateway is an evolution of SRC Solutions award winning document management solutions and bridges the gap from Student Records to HR Records as well as Business Office Records. SRC Solutions Registration Gateway and document management solutions are in use in districts across the US. Central Records Gateway allows school districts to create, automate and relate digital documents across multiple stakeholders, various retention schedules and ever changing archiving policies. Through the CRIV program, Central Records Gateway can expand to incorporate any current or future district document source. What truly differentiates Central Records Gateway from any other electronic document solution is SRC Solutions dedicated efforts towards open integration with any third party document source as well as permissionable Electronic Cumulative Folder access to administrators, parents and students. 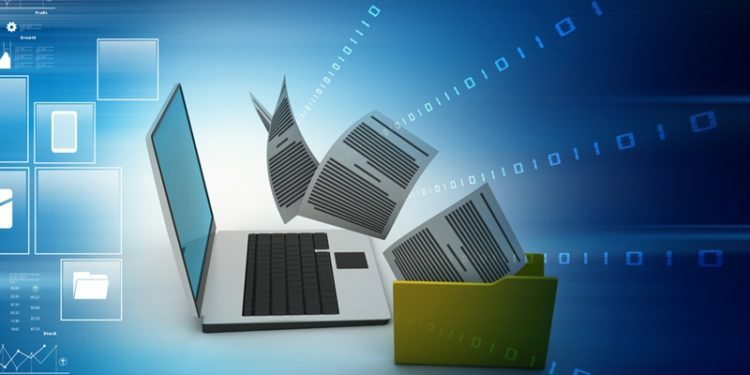 Central Records Gateway offers a four pronged approach to existing and new document collection including desktop document scanning, Multi-Function device direct scanning, direct document flow through CRSP integration and bulk document distribution direct to online folder. To learn more about Central Records Gateway, click here. Take Central Records Gateway for a spin simply by clicking here. “Central Records Gateway is an all-in-one self-manageable solution for school districts. Central Records brings record management out of the file cabinets and into the hands of permissioned users making information typically trapped in forms actionable and relevant. Take one example of a student medical record. Traditionally, records have to be transferred from school to school within a district as kids age out of schools. With Central Records, the moment those students age into another school, permissions are automatically transferred to the new school medical professional. We are excited to bring this functionality to school districts and allow them to take charge of FERPA and HIPAA compliance in their records” said Patrick Maher, CEO SRC Solutions. Central Records Gateway doesn’t stop at document management and retention. Central Records Gateway also provides an easy to use form creation tool right within the application. Once forms are completed by the parents, students, employees etc… they can be automated to go back into the central record. Document collection, organization and retention is key but the true differentiation is security. Central Records Gateway employs sophisticated security standards which match the access already in place within school districts. There is no need to reinvent security provisioning. Central Records Gateway also makes district to district student transfers as simple as can be with a unique records packaging feature allowing receiving districts access to specific student records from the sending district. SRC Solutions, Inc. provides school districts a mechanism for positive process change. SRC Solutions, Inc. offers a suite of “Gateway” applications each designed to tackle obstacles standing in the way of the educational process.